I hope everyone made it through the winter. Some areas had a difficult winter season, but now everyone is looking forward to rolling into spring and filling out your registration for the ARC Annual Conference. I look forward to this conference every year because of the valuable public relations training opportunities and outstanding networking. This year we head to Kansas City, a central location for many in the ag communications field. Our planning committee brainstormed a host of excellent ideas and we’ve developed a wide range of workshops with top-notch speakers. The first workshop will discuss the pertinent agricultural issues in Missouri and Kansas, as well as what solutions are being developed to face those challenges. Chris Chinn, director of ag, Missouri; Scott Brown, associate extension professor, University of Missouri; and Ryan Flickner, senior director, public policy, Kansas Farm Bureau are on tap for the panel. I’ve known Chris Chinn for years. She had been the Missouri Farm Bureau Young Farmer and Rancher (YF&R) chair, then served as the American Farm Bureau YF&R chair. Currently, she is the director of the Missouri Department of Agriculture. Her accomplishments are many, but what will be most interesting to ARC members is she is a communicator. In fact, she has established her brand through social media and public speaking. Her blog and Twitter audiences have attracted more than 10,000 faithful followers who have tuned in to hear her farm story. From across the border in Kansas, ag issues are similar, yet different. Prior to his work for Kansas Farm Bureau, Ryan Flickner served as deputy state director for the Office of U.S. Senator Pat Roberts (R-KS). He is actively engaged in a family farming business near Moundridge, Kan. The second session will cover the fascinating (and maybe a little spooky) National Bio and Agro-defense Facility (NBAF), a planned U.S. government-run research facility that will replace the 1950s-era Plum Island Animal Disease Center in New York. Ron Trewyn will focus on the broader threats NBAF will be tasked with predicting/managing/dealing with, including avian influenza, porcine reproductive and respiratory syndrome, African swine fever and the communications side of biosecurity and crisis communications. Following the Hall of Fame Luncheon, our focus shifts to the next generation of young people involved in leadership roles in the ag industry. 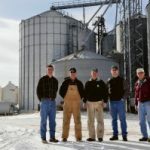 We’ve all heard of FFA, but there is an organization that takes over where FFA left off: The Agriculture Future of America (AFA). 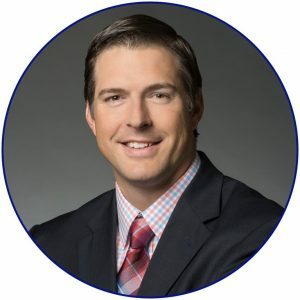 Our speaker, Mark Stewart, is president and CEO of AFA and will talk about the direction his organization is heading. Currently, he leads the organization’s external relationships and strategic planning processes for short- and long-term growth. Before joining AFA in June of 2011, he was the director of development and communications for the Don Bosco Centers, Kansas City, Mo., where he supervised all development, fund-raising and communications operations for the centers. 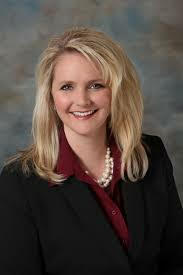 Also speaking will be a representative from the National Agri-Marketing Association and American Royal. I look forward having a great ARC turnout in Kansas City. Kansas City, here we come! Additionally, the logo pays homage to Kansas City’s rich jazz music history and the World Champion Kansas City Royals baseball team. It’s a collective visual of all the fun and fascinating things there are to do in Kansas City – so don’t miss the ARC Annual Meeting! From classic Kansas City-style barbecue to its ironic city name, Kansas City, Mo., provides a prosperous place of business – particularly for agriculture. Despite its proud agricultural heritage, it seems to have a bit of an identity crisis. Among Kansas City’s (Missouri) numerous nicknames you’ll find “Gateway to the Southwest,” “City of Fountains,” “Paris of the Plains” and “Heart of America.” All of those nicknames share a common thread – agriculture. Given the importance of agriculture to Kansas City and the surrounding area, ARC will hold its annual meeting at The Hotel Phillips in Kansas City, Mo., June 18-20. See the tentative schedule below and make your Kansas City travel plans today. Other articles in this newsletter provide additional information about the meeting, speakers, presentation topics, tours and venue. 9:15 a.m. Session 1 – Kansas/Missouri agriculture hot topics. 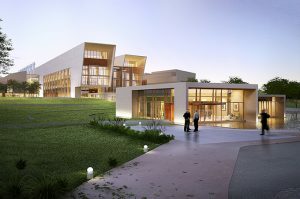 The 2019 ARC Annual Meeting will feature a jam-packed tour day on June 20, with an array of thought-provoking discussion topics and tour sites you won’t want to miss. Our day will start with a visit to The Roasterie (https://www.theroasterie.com/about/story), one of the most renowned specialty coffee roasters in the United States. You’ll learn the fascinating story of how Iowa-born owner Danny O’Neill first discovered his love of coffee and coffee roasting, and how one summer in Costa Rica as an exchange student helped found his lasting commitment to direct trade with farmers at the product’s origin. We’ll enjoy a tour and chat with Roasterie staff about how and where they source their product and how they communicate the value of local sourcing to the consumer. Next, we’re off to the Kansas City Barbeque Society, where we’ll be treated to a cooking demonstration and discussion about their consumer marketing efforts. The demonstration will feature one of the organization’s new marketing campaigns, “A BBQ Meal In An Hour,” and you’ll hear from one of the Society’s member Pitmasters to get insight on their own marketing strategies. In addition, David Eahart with Seaboard Foods will be on hand to discuss how the company (and the Society) use influencer marketing in their communications strategies. Then, we’ll enjoy a delicious barbecue lunch. After lunch, we’ll head just south of Kansas City to Bucyrus, Kan., where we’ll visit the Guetterman Brothers Family Farm. Brothers Paul, Steve, Danny and Gary Guetterman started the farm in 1966. They added a grain elevator in Bucyrus in 1991 and the operation has continued to evolve over the years. Today, Paul runs the 100 percent no-till farm with sons Ted, Tom, Mike and Nick. We’ll tour the farm and learn why Paul and his family have such a strong commitment to land and soil conservation, and see some of the many improvements they have made in these areas. Also, we’ll learn about the family’s philanthropic commitment and their work with the Foods Resource Bank to raise money to help provide training and basic inputs to poor farmers around the world through The Bucyrus Growing Project. To cap off our tour day, we’ll head to Olathe, Kan., and visit Stone Pillar Vineyard and Winery. Owners George and Brandi Hoff will share the story of how this operation – the oldest continuously operated family farm in the state of Kansas – has evolved from a row crop farm 160-plus years ago to a popular winery and vineyard. They’ll talk about the amazing evolution they have seen in this part of Kansas – where once there were corn, soybean and wheat fields, and cattle pastures as far as the eye could see, to the modern-day suburbia that surrounds the winery. We’ll tour the vineyard and production facility, and then sample their outstanding selection of wines. After the tour, we’ll head back into the city to the event hotel, The Hotel Phillips. (Want a fun fact? 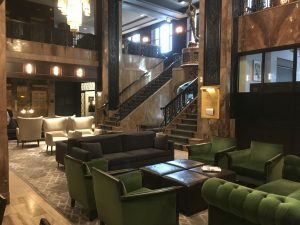 The Hotel Phillips was named Missouri’s most beautiful hotel in this 2017 article in Architectural Digest.) We’ll wrap up our evening with a celebration of the “crème de la crème” of agricultural public relations excellence at the awards banquet. Now you can see why the ARC Annual Meeting is an event you can’t miss. See you in Kansas City in June! 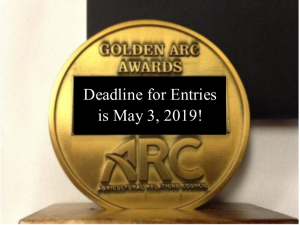 The 2019 Golden ARC Awards Contest will accept entries through May 3, 2019. Click here, to enter the contest. Public relations professionals can get feedback on their entries, and see how their work stacks up against the best in the business. To be eligible, entries must be completed in full or partially in 2018. A complete list of the revised categories, reflecting the evolution of agricultural public relations and with an added focus on social media, can be found here. Entries may be submitted until May 3, 2019 at 11:59 p.m. EST. Entry fee per CAMPAIGN category is $125 and per TACTIC category is $75. Both ARC members and non-members may enter the competition. Non-members pay an additional $190 with the first entry, thereby becoming a member of the respected organization. New ARC members who have not entered in the past may contact Sandra O’Rourke to set up a profile. This profile must be set up at least 24 hours before entries can be accepted. The next ARC Webinar is set for May 2, with Mike Dahlstrom, Iowa State University associate professor of journalism and mass communication, addressing “Communicating Your Science: What’s it Really about?” Dahlstrom will provide thoughtful insight on what really works when communicating with people on controversial topics related to food, agriculture and science. All ARC members and their colleagues can find value in this important topic. Webinar attendees will learn about science communications and its many approaches. Dahlstrom will discuss the strengths of each approach. Also, attendees will learn about the power of fact vs. the power of shared values. To register for the May 2 webinar, starting at 12:30 p.m. Eastern time, go to: https://agtoday.us/webinar-communicating-your-science. If you missed ARC’s January and/or February webinars, you may access the recordings. In January, Frank Mitloehner, University of California, Davis, presented “Facts and Fiction – Debunking Myths about Livestock’s Environmental Impact.” Watch it at: https://vimeo.com/315501307. And in February, Aris Georgiadis, Dairy Management Inc., shared information on “DMI’s On-site Creative Newsroom, Staff and Monitoring/Engagement Processes.” Watch it at: https://vimeo.com/320876515. The password for the early 2019 ARC webinars is ARCPR7827 (case sensitive). As always, ARC members can join future webinars or watch past webinars at no cost, as they are included with your ARC membership. All the webinars, interviews and selected presentations from past ARC events can be found at: https://www.agrelationscouncil.org/category/member-benefit. Please welcome Kellie Lasack, an enthusiastic communicator who lives in eastern Iowa, to the ARC family. In her new role, Lasack will lead ARC’s social media and electronic communications activities. Lasack grew up on an Iowa Shorthorn cattle farm and learned the meaning of worth ethic, dedication and patience. Her passion for agriculture and communications blossomed at Iowa State University (ISU). In 2012, she earned a bachelor’s degree in agricultural communications and advertising. After spending six years growing her knowledge and placing herself in new experiences, she opened her own business, Roan Marketing and Communications. 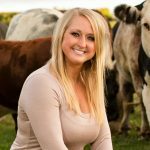 In 2016, Lasack married her “Prince Farming.” They live on a farm near Oxford Junction, Iowa, with their dog, Lily, cat, Angus, and a herd of Angus and Shorthorn cattle. Ron E. Scherer, 74, Columbia, Ill., died Feb. 10, after an eight-year battle with idiopathic pulmonary fibrosis. 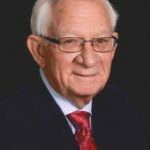 He received his bachelor’s and master’s degrees from the University of Illinois and spent nearly 40 years working in marketing communications. Ron’s career included serving as director of corporate communications for Dekalb Corporation and owning his own agency, Ron Scherer & Company. He served as president of Agricultural Relations Council, St. Louis AgriBusiness Club and Gateway Chapter of National Agri-Marketing Association. For his complete obituary, go to: http://bit.ly/SchererObit.